There are so many gadgets available that can make your life much easier. From food processors to vacuum sealers, there are many that will save you a lot of time and money. A small investment in these types of gadget will make a big improvement on your life around the house. You do not have to spend a lot of money to find the right gadgets for your home. Here are a few you can choose from. The Food Saver Vacuum Sealing System with Starter kit is the best vacuum sealer on the market. This product comes with everything that you could possibly need out of a vacuum sealer. It comes equipped with a starter kit that has heat and seal bags with an 11 by 10 inch roll to use for sealing. It has 2 different vacuum speeds and can be manually operated. It provides optimal sealing by allowing you to adjust the moist/dry food settings. The crush-free instant seal helps to keep delicate foods protected during the process of sealing. It comes equipped with a bag cutter as well as a roll holder. 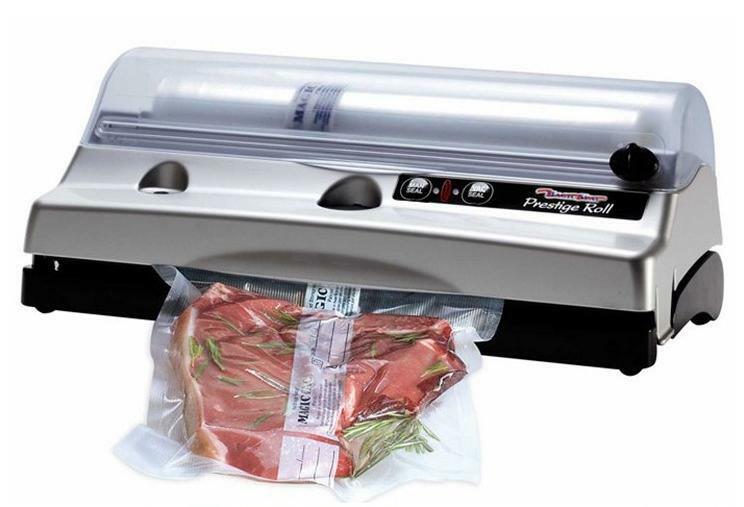 You can purchase this vacuum sealer $111.00. If you are looking for a reasonably-priced food processor, then Hamilton Beach has the one for you. The Hamilton Beach Bowl Scraper food processor is less than $30.00 and comes equipped with 10-cup capacity bowl with a scraper that is built-in. It has two different speeds and 450 watts of power. It is perfect for chopping, mixing, and pureeing and is dishwasher safe. It also comes with a lid as well as a blade and scraper attachment. The shredding disc is able to chop quickly and does not require that you have a spatula. This is the perfect product for someone who is looking for a high quality low-cost food processor. Black & Decker also makes a food processor that is less expensive but equally as effective. The Black & Decker 8-Cup Food Processor is a 450-watt food processor that is great for dicing, slicing, mincing, chopping, and much more. It is an 8 cup capacity work bowl with a continuous-flow feed chute and pusher, and off and on pulse buttons. It also comes equipped with a safety interlock system, suction cup, cord storage, as well as parts that are safe to put in the dishwasher. It is constructed with a stainless-steel chopping blade and reversible slicing and shredding disc. You can purchase this food processor for less than $30. It has a lot of positive reviews on Amazon.com. If you want to have the best cooking equipment in your kitchen you don’t have to spend a lot of money to have something that is high in quality and value. If you love to cook, then food processors and rice cookers are two items that your kitchen should not have to live without.